Are you thinking about hiring a company to provide you with security guard dog services? If this is the case then it is likely that you have a security scenario where you require a higher deterrent and more vigilance than a standard manned guarding solution. As you know a dog handler with trained dog, will resolve most, but not all situation where a security guard maybe effective. 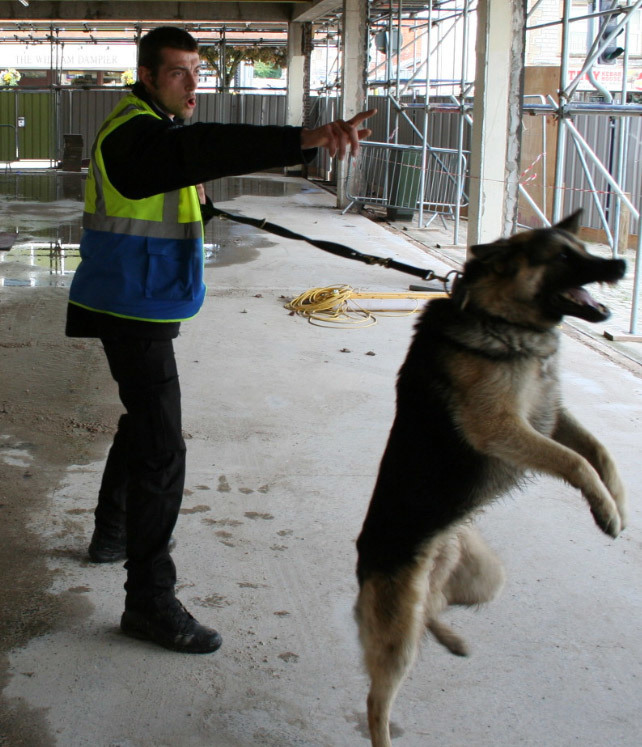 Atlas UK Security provides Security Guard Dogs services, throughout the Yeovil area and the South West. We work to the BSI code of practice BS8517 part 1 for generating security purpose dogs. We are able to supply Security Guard Dog Services throughout in all situations, even to assist your existing team of security guards, or as a standalone entity. All specialists’ dogs are trained by accredited training instructors, from NASDU. Security dog guarding is one of the most effective solutions to guarding people, premises and property. Security dogs are trained to pick up on intruders or hidden persons by, scent, sight or sound, to protect their handler by standing their ground and showing controlled aggression. When confronted with threatening behaviour they are able to detain a suspect until the authorities arrive to deal with the situation. For further information on guard dogs and how we can assist with protecting your property contact Atlas UK Security on 01935 474929 for a free no obligation quotation.